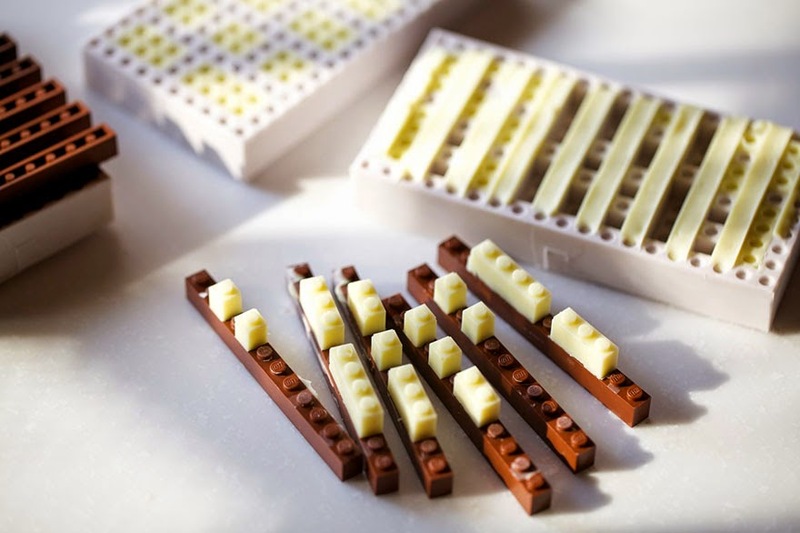 Tiles or Studs: Edible and Functional Chocolate LEGO Bricks! 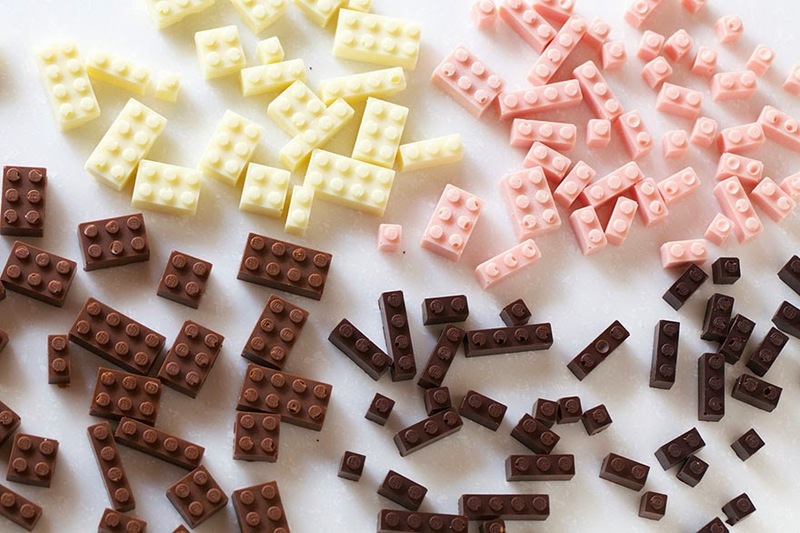 Japanese artist and designer Akihiro Mizuuchi made everybody’s childhood dreams come true – he has created edible chocolate LEGOs. 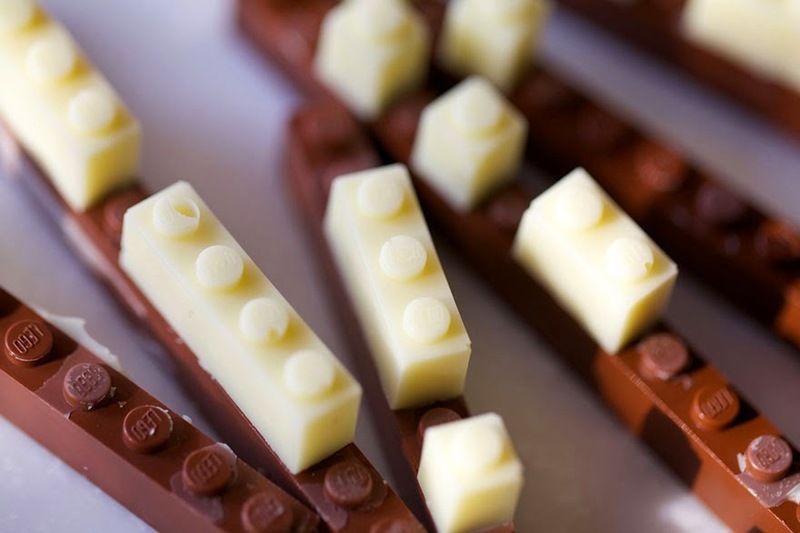 The bricks, which are made of white, milk, dark and pink chocolate, are totally functional. The bricks are looking very precise. They even have the LEGO brand name on top of the studs like real LEGO bricks. 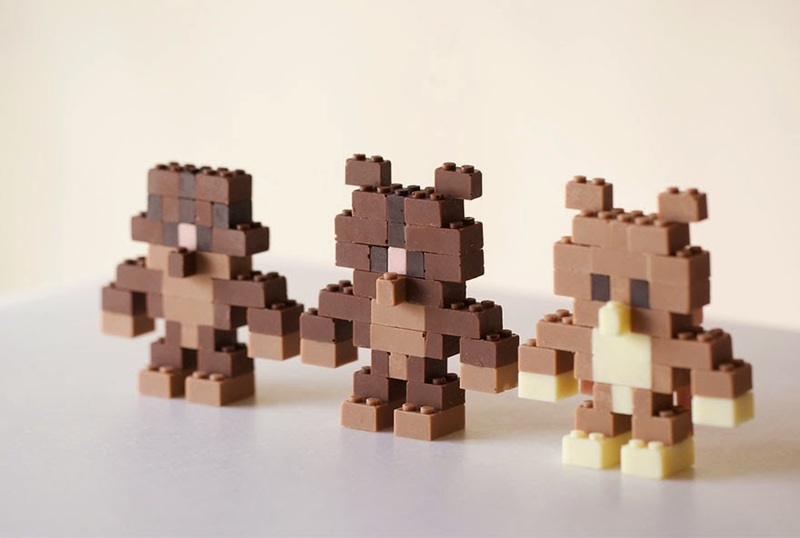 The artist has even built a series of chocolate LEGO figures (teddy bears?) using these bricks.